﻿ [Solved] Locked Out of Windows 10, What to Do? Locked out of Windows 10, What to Do? "Locked out of windows 10 no reset password disk. I am currently locked out of my computer because I cannot remember my login password. I was using a picture password before however it does not give me the option to switch back to the picture password." locked out of Windows 10? We all more or less have experienced before, that we accidentally lost important passwords and locked out of the account. If you happens forgot Windows 10 password and have yourself locked out of Windows 10 account, the following 4 methods will sure help you reset Windows 10 password and regain the access to your PC. 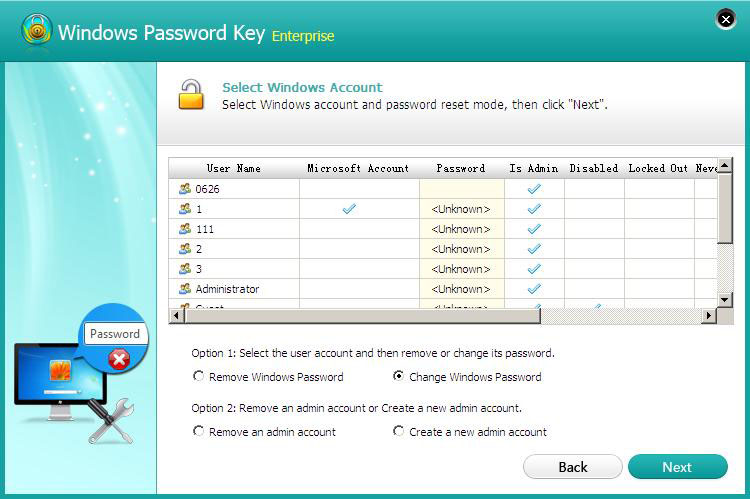 Since Windows 8, users can use Microsoft account to log into Windows. If you unfortunately forgot Microsoft password on Windows 10, you can easily reset it online and then use it to unlock Windows 10. Step 1: Visit https://account.live.com/password/reset from any browser on any computer or device. Step 2: Type your Microsoft account in the account filed and then the verification code. Click "Next" to move on. Step 3: Choose one way to reset Microsoft account password online on the following screen and follow the operation step by step. If you luckily have another admin accout or the Super Administrator Account is enabled before on your locked Windows 10 PC, you can use this account to get into the computer and reset the password for your locked account. Step 1: Restart the Windows 10 Laptop and wait for the Log in the screen. Press the Shift Key 5 times to activate SAC. Step 2: Login to the SAC account and go directly to the Control Panel. Step 3: In Computer Management, change the password of your main account. Now, restart the locked Windows 10 Laptop again and log in with your new password. If you forgot the password of your Windows 10 computer and don't have a password reset disk in hand, which make it impossible for you to enter the computer. Then you may need a tool to help you reset Windows 10 account password - Windows Password Key, a professional software is exactly what you need, which can lead you to successfully enter Windows 10 computer with password. Step 1: Install and run this software to a workable computer, browse ISO image first (This section is always set as default.) 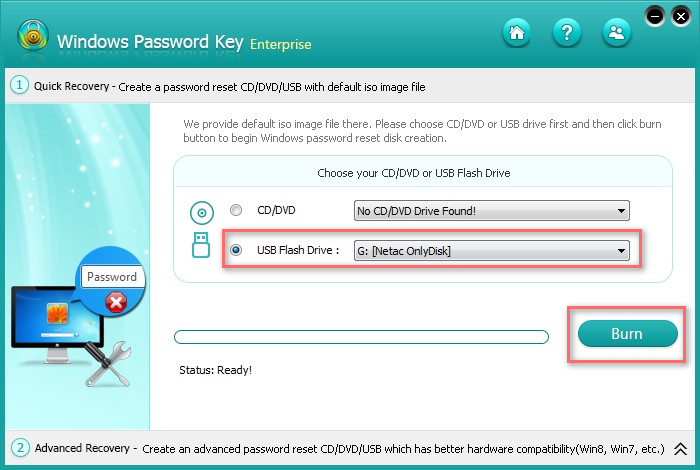 and choose CD/DVD or USB flash drive to burn the program. Step 3: When the software has loaded, select your installation of Windows from the options and then choose the user account you need to remove password. Select Remove Windows Password and click on the Next to remove it. Microsoft offers you a free way to reset Windows 10 local account password but requires previously-created password reset disk for it. If you're proactive enough and created Windows password reset disk before, it's time to use it! 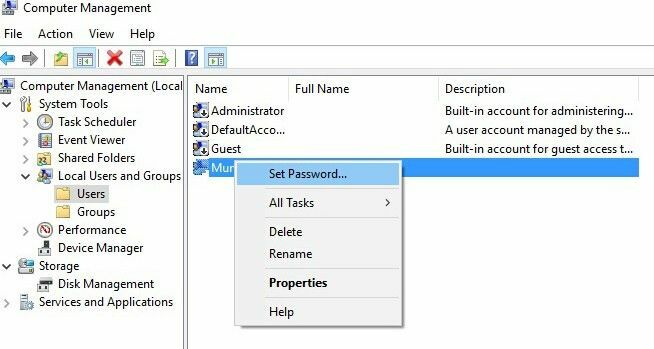 You can easily reset forgotten Windows 10 admin password in following steps. Step 1: Sign in your computer with the wrong password. Click on "Reset password" under the password input box. 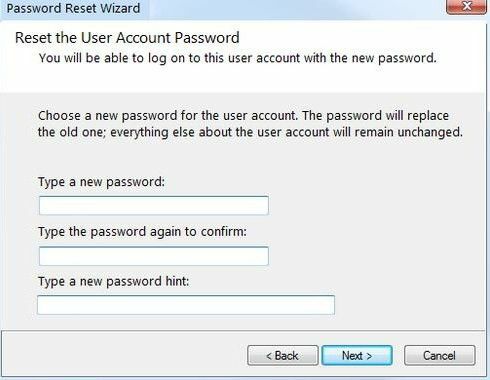 Step 2: After the password reset wizard appears, insert your password reset disk to the computer. Step 3: Reset your forgotten password step-by-step follow the prompts. That's all about how to fix locked out of Windows 10 account issue. This problem should not trouble you, and when you meet this kind of problem on other platform like Windows 7/8/8.1, these two solution can also be helpful. Cannot Type Password in Windows 10? Here’s the Fix?